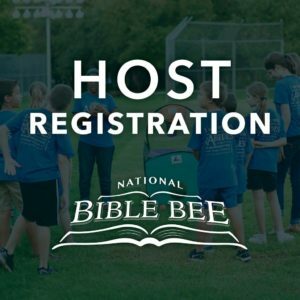 Are you considering serving as a National Bible Bee Summer Study host? Six years ago, I was in your shoes! Now as I look back and consider the many blessings that have come, I am so thankful that the Lord led me to register as a host. Although time does not allow me to share every blessing, I want to give you some of my insights from hosting. The greatest highlight has been watching young people and their families grow in their walk with the Lord through the study and memorization of God’s Word. Sometimes the growth is small in scale and other times it is very evident. One year, a Primary participant’s mom was rejoicing that her child had just finished memorizing all of his verses. She told me, “My son has never memorized more than one verse and this summer he has memorized 14 verse passages and God’s Word is changing Him”. Seeing lives transformed by the Word of God has been a true blessing! Another highlight in hosting is watching the ripple effect from National Bible Bee in our local community. For the National Bible Bee Proclaim! Day, we recruit volunteers from our church to help with judging and to come and hear the young people proclaim God’s Word. As the volunteers and the spectators hear the testimonies of the participants and watch them attempt to recite God’s Word, they leave inspired to know God’s Word and to make Him known in their own lives. The ripple effect from the Proclaim! Day has been one factor in encouraging several adults and even senior adults within our church congregation to memorize large portions of God’s Word. It is always amazing to see God’s Word run and be glorified! A final highlight that I will share with you from hosting has been the friendships that I and my family have made not only in our local community but across the country. These friendships have been forged around the study of God’s Word and they have led to “iron sharpening iron”. I’m so thankful for the encouragement that the National Bible Bee community has been to me and my family. 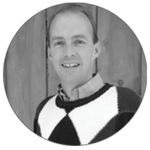 We have been personally blessed and encouraged to grow in our walk with the Lord. As I think back to when I was first considering hosting, I’m so thankful that I registered! My life has been blessed! I’m looking forward to more highlights as our 2018 Summer Study host group partners with National Bible Bee in fulfilling their vision to “know God’s Word and make Him known”.